Next year’s sockeye salmon forecast for Upper Cook Inlet looks only slightly rosier than this year’s forecast. The Alaska Department of Fish and Game released its 2018 forecast for the sockeye salmon return to Upper Cook Inlet on Nov. 21, predicting about 4.6 million total sockeye to return to all the stream systems in the area. About 2 million would go to meet escapement goals, about 1.9 million would go to the commercial fishermen and about 700,000 to other user groups, according to the forecast. The prediction is about 1.3 million below the recent 20-year average of about 5.9 million fish returning to Upper Cook Inlet, but slightly higher than the 2017 forecast of 4 million sockeye returning to all systems. The actual 2017 return was slightly higher than the forecast, in part because the Kenai River’s late run of sockeye was larger than forecast. The 2018 forecast still leaves the commercial harvest lower than 20-year average as well. “The forecast commercial harvest in 2018 is 0.9 million less than the 20-year average harvest,” the forecast states. The Kenai River is forecast to see 2.5 million sockeye return, about 1.1 million fewer than the 20-year average of about 3.6 million. The Kasilof River is forecast at about 866,000 sockeye, the Susitna River at 329,000 and Fish Creek at 211,000 with all other unmonitored systems in Upper Cook Inlet accounting for the remaining 665,000 fish. If the forecast proves true, it will be the third below-average harvest year in a row for Upper Cook Inlet’s commercial fishermen. Commercial fishermen brought in about 2.6 million sockeye during the 2015 season, substantially below the 20-year-average, and though the preseason forecast for 2016 was promising, the run did not live up to expectations and commercial fishermen had another poor year, bringing in about 3.3 million sockeye rather than the 5.3 million predicted. The 2017 season was predicted to be below average and actually exceeded expectations, with a later and larger run than predicted. However, commercial fishermen ended their season with about 1.8 million sockeye, the smallest sockeye harvest in the last decade. The forecast of 2.5 million places Kenai River late-run sockeye salmon management into the middle tier for management, changing some of the restrictions on commercial fishermen, including giving drift gillnet fishermen the option of one inlet-wide fishing period in July. The managers watch the run throughout the summer and update the forecast by about the third week of July and adjust management strategies accordingly. 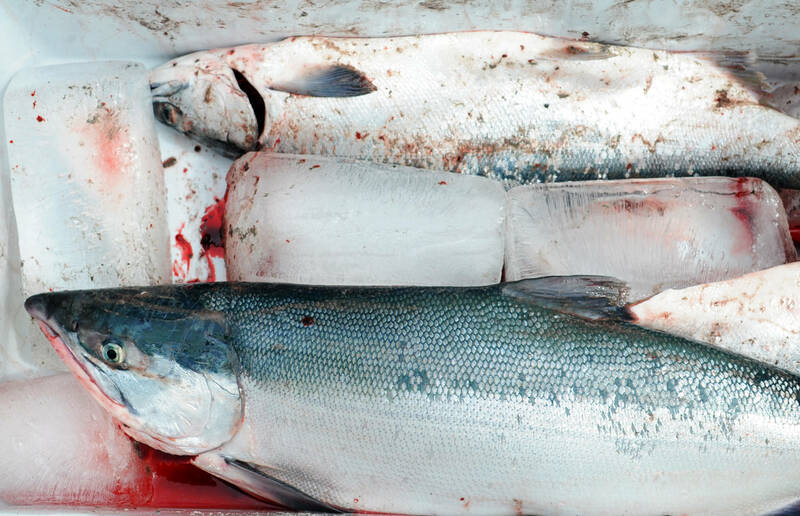 Commercial fishermen in Upper Cook Inlet are forecast to harvest about 7,400 king salmon, 389,000 pink salmon, 177,000 chum and 203,000 coho in 2018, though those numbers are based on harvests in the last five years and not on enumeration data.